Please note: these matches are correct at time of going to press, but Mother Nature might win and there might be some last minute cancellations. The other half of the double header at Barking Sporthouse see Eagles women, with top Norwegian goalkeeper Anette Utby between the sticks, in for a tough game against the Manchester-based Hawks. Just two points separate Hawks in second from Eagles in third in what will be a keenly contested match. Hawks will hope to have 2012 Olympian Holly Lam-Moores - one of the league’s top goal scorers - on the team sheet. Throw off is at 13.00 on Saturday. London GD women are still in the hunt for the league and cup double and this Saturday they welcome Cambridge to Barking Sporthouse. The East Anglians have only won two matches so far this season, but have been competitive against top half opposition in their more recent games so will be looking to put up a fight against the Londoners. This match throws off at 13.30 in Barking Sporthouse on Sunday. Elsewhere in the Women’s Premier Handball League, London Angels take on Olympia at the Leyton Score Centre. Saturday’s match throws off at 12.30. Despite being sixth in the league table, Angels will be on a high after their recent victory over NEM Hawks in the last round of league fixtures. Olympia will want to win here to try to push into the top three in the table, and will also be full of confidence after victory over Eagles in their last league outing. Finally, Peninsula welcome Coventry Sharks to Powerleague Trafford Soccerdome on Saturday. 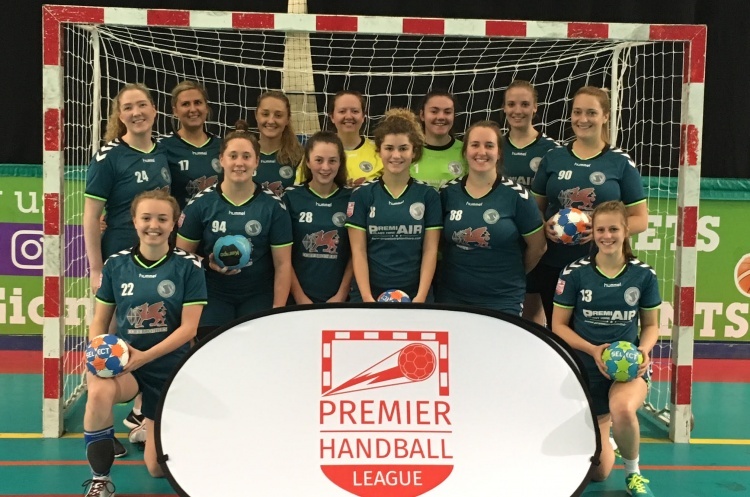 Peninsula will be looking to build on their solitary win of the season when they defeated London Angels in early January. Mid-table Sharks were impressive last time round when they enjoyed a comfortable victory over Cambridge, and victory here could edge them up into the top four. Throw off is at 14.30.